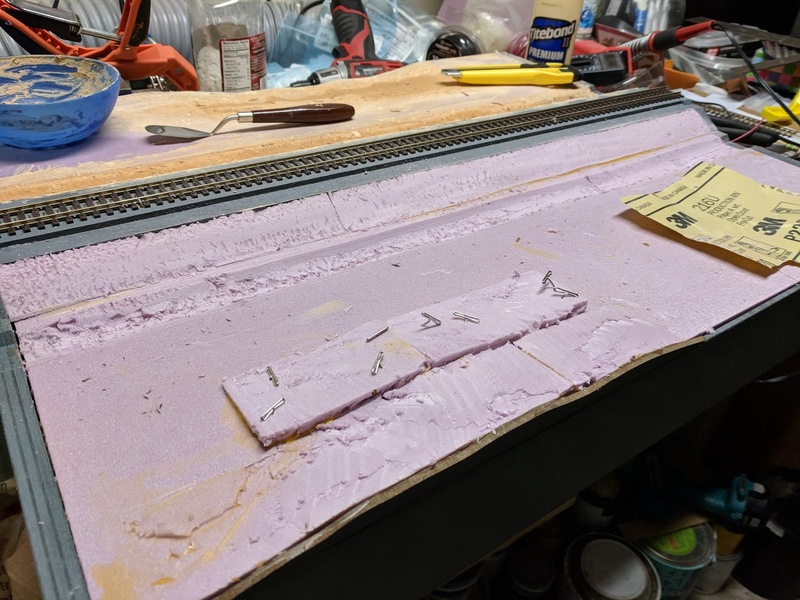 While the pink foam sheet yield a very lightweight surface cover, it's also perfectly flat, which doesn't look particularly natural, unless your layout is set in the far North of Germany. 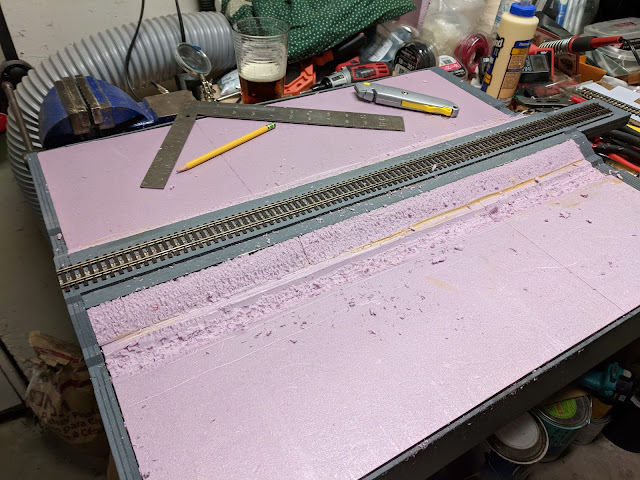 I dressed up the sides of the track board with more pink foam and shaped it into an embankment with a basket rasp. While at it, I also carved the drainage ditch. Next I hit one side of the module with the jigsaw, cut a light depression into the side, and used the basket rasp to even it out again. 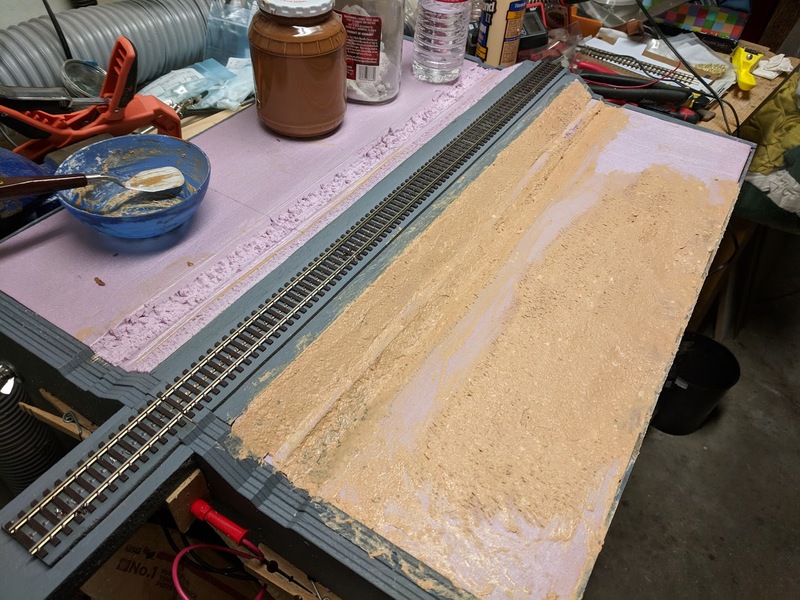 I applied Scuptamold tinted with brown paint to tie it all together. 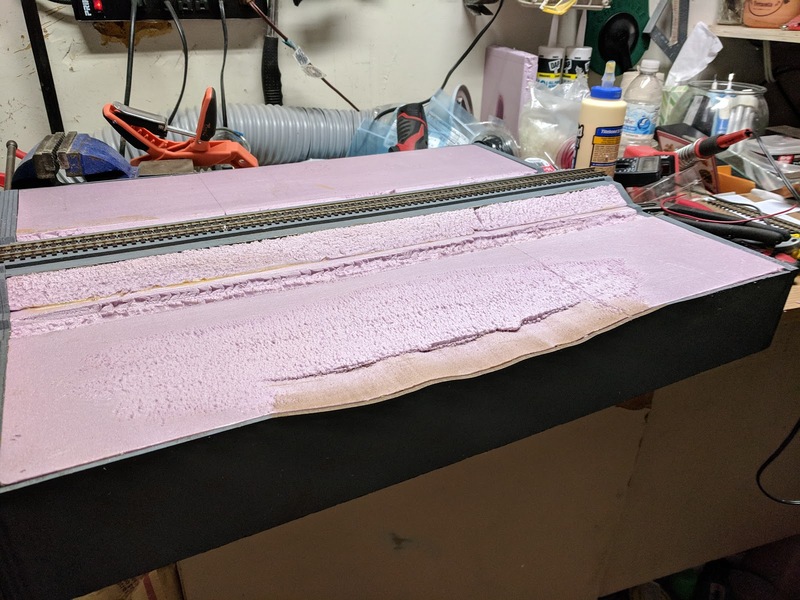 The cutoff from the one side was glued to the other side and backfilled with more pink foam cutoffs. More terraforming and shaping will happen once the glue is dry.